Sixteen teams will come. Each the best in their division. Each with an equal chance. But, as the axiom goes, on any given day, any team can beat any other team. And, that’s true in the AIM Weekend Walleye Series/Warrior-Yamaha Shootout. So when those “Sweet 16” get the green flag on Lac Qui Parle lake in western Minnesota, on that Friday and Saturday, only one will walk away the victor of the richest tournament of its kind. 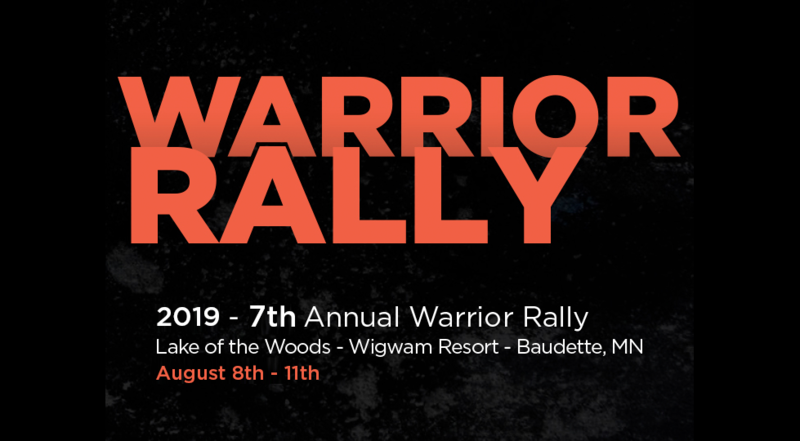 That team will be towing home a Warrior V1898DC boat with a 150hp Yamaha outboard hanging on the stern, worth upwards of $50,000, the spoils of qualifying events that began 13 months and thousands of hours on the water earlier. The V1898 is built by fishermen, for fishermen, and is also a serious family fun platform. It features huge rod storage, and is versatile enough that the winner can take the family water skiing or a casual boat ride. It’s the only fiberglass boat built where passengers actually look through the windshield, not over it. Like most of the teams themselves, Lac Qui Parle Lake, located on the Minnesota River system about 120 miles west of Minneapolis and just north of Montevideo, MN; is not as well- known as other Midwest water bodies. But it’s guaranteed that this tournament will change that. Added AIM Chairman Brett King, “The championship location was announced purposely in the dead of winter so no team is allowed to fish it through the ice or on open water until tournament pre-fishing begins”. “For most of these teams, this is the biggest fishing event of their lives. Releasing the location this way leveled the playing field even more and watching them go all out each day of the tournament will be something to see” said King, himself a pro tournament angler. “Releasing the location this way also complements AIM’s unique Catch-Record-Release™ (C-R-R) format to a tee,” he added. Once a fish is netted, it is placed on a standardized bump board ruler given to each boat, photographed to verify its length using an AIM SD photo card, its length is recorded on paper, and then returned to the water. The SD card photo is then used to verify all measurements. The length of each fish is converted to pounds using our scientifically accurate AIM conversion chart to the nearest hundredth of a pound. Jeff Randall is a local tournament sponsor, and owner of the Milan Beach Resort, where competitors will launch. He agrees that Lac Qui Parle, (pronounced lak-ka-par-l), French and Dakota words for “the lake that speaks,” is perfect for AIM. Teams will pre-fish the 18-mile-long lake averaging 15 feet deep starting at 6 a.m. on Monday, May 25, through 2 p.m. Thursday, May 28. Each tournament day, boats will launch from the resort at 7 a.m., and must be back at the dock by 3 p.m. The weigh-in at the American Legion at Montevideo starts at 6 p.m. May 29 and 30. Attendees will get to see photos of the fish that the teams scored and hear how they were caught. The public is encouraged to attend. Anglers Insight Marketing LLC (AIM™) is a unique tournament organization created and owned by many of the most accomplished and recognizable professional walleye anglers, along with others who share the mission of advancing competitive walleye fishing and making it sustainable into the future. AIM is committed to marketing excellence on behalf of its tournament competitors, the tournament host communities, and the brands that partner with it. AIM is also committed to maintaining healthy fisheries across the nation by the development of the exclusive AIM Catch-Record-Release™ format which is integral to its dynamic events and unparalleled consumer engagement. For more information about AIM™ AIM Pro Walleye Series™, AIM Weekend Walleye Series, AIM sponsors and AIM anglers, visit www.aimfishing.com. AIM Marketing Partners: Yamaha Marine, Warrior Boats, Nitro Boats, Mercury Marine, Amsoil, Navionics, Powrtran, Power Pole, Worldwide Marine Insurance, Off Shore Tackle, Team Lodge, National Fleet Graphics, Gemini Sport Marketing, The City of Oconto, Montevideo Chamber of Commerce, Montevideo American Legion Post #59, Randall’s Milan Beach Resort.